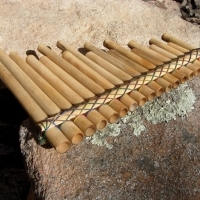 The rondador is a wind instrument native to the mountains of Ecuador. 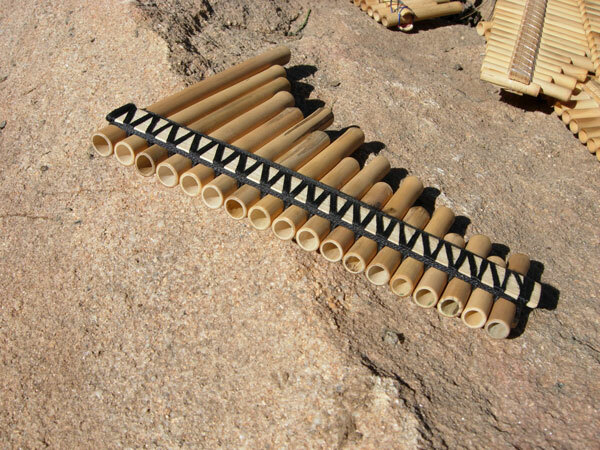 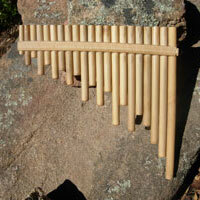 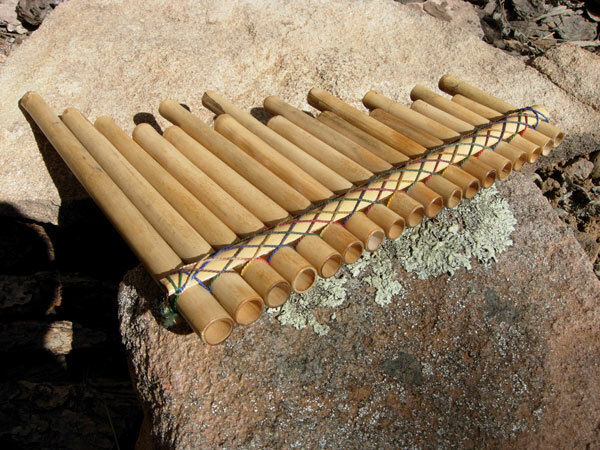 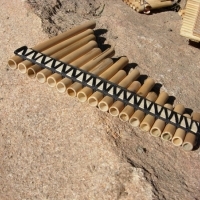 It is tuned pentatonically and has the reeds arranged so that the player can blow two reeds simultaneously, allowing the musician to play melody and harmony at once. 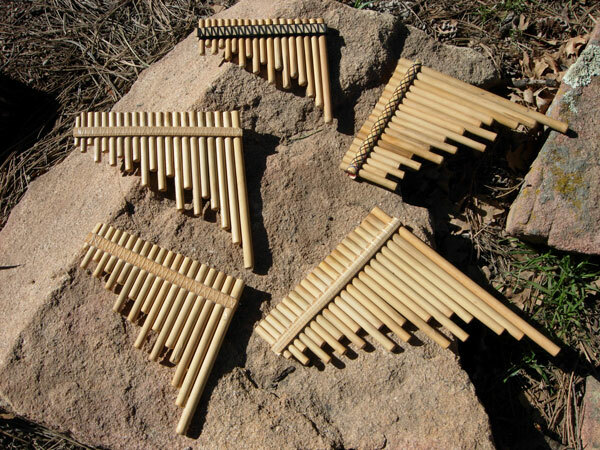 These can be made in different keys. 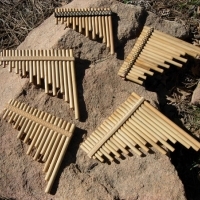 The most common are E minor, D minor, F minor, A minor.